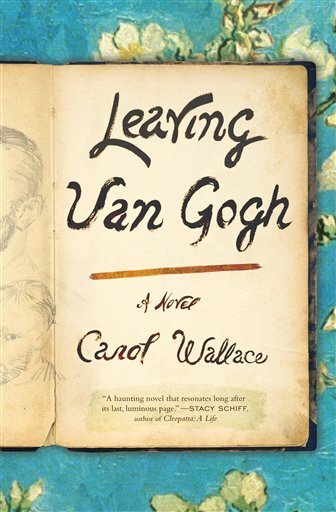 Leaving Van Gogh by Carol Wallace, is another amazing book sale find. The fictional novel is made all the more fascinating due to Wallace’s love and extensive knowledge of art history. The story takes place in a small country town in France named Auvers where Vincent lived for a short time at the end of his life. The story is told by Dr. Gachet, a physician who specialized in mental disorders, who attended to and became Vicent’s close friend while he lived and painted in Auvers. Dr. Gachet was also an amateur painter and great art patron with ties to many of the famous painters of that era. As one can imagine, it is a sad story not only about Vincent, but Dr. Gachet and Theo, Vincent’s brother as well. I think the author did an incredible job on this book and recommend that anyone reading it acquire an art book on Van Gogh for reference while reading it. I happen to own a book on Van Gogh, and it was very helpful in providing me with visual support for the many paintings mentioned in Wallace’s novel. My only criticism of this book is that much of it is devoted to depictions of mental institutions of the times. I found this depressing and a unwanted departure from the story about Vincent. However, because the story is told by Dr. Gachet, whose life and work focused on mental illness and the fact that Van Gogh was mentally ill, I understood the author’s desire to include these vivid descriptions. Rarely does a book move me to tears, but this one did. The end of the book and the scene at Vincent’s burial touched me deeply. Please, if you do choose to read this book, be certain to read the Author’s Note at the end. It is as enlightening as the novel. This entry was posted in Uncategorized and tagged art, Auvers, Books, Carol Wallace, France, Vincent Van Gogh. Bookmark the permalink. An additional review worth reading from one of my favorite bloggers!